Many organizations list a skills gap as one of their primary obstacles to achieving and sustaining a high-functioning DevOps-based organization. This paper attempts to provide practical guidance to organizations on developing, recruiting, and retaining DevOps talent. 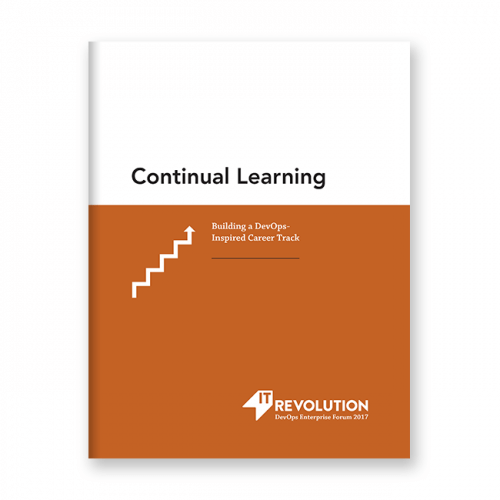 This paper also serves as a call to action for the industry to help advise and advocate for more DevOps and Lean/Agile concepts to be included in the curriculum of traditional educational providers. Academic partners for both four-year degrees and adult education have not widely embraced teaching updated principles and current skill sets. As a community, we have a role to play in advocating for better educational programs for the workforce.